Electronic Arts has made a huge effort for the past several years to expand into new areas of gaming, including mobile and social games. The company has also built its own digital distribution platform with Origin, both for its own games and for games from more than 70 other developers. EA is attempting to take games that were once a yearly release and turn them into 24/7/365 services on multiple platforms, where the game becomes a larger concept than just a single platform. It would certainly appear that the strategy is working, as the company's digital revenue has been growing over 40 percent every year for the last five years. GamesIndustry International recently caught up with EA's executive vice president of digital, Kristian Segerstrale, to discuss the company's vision and how it affects monetization, design, and the play experience. Segerstrale was formerly the CEO of social game company Playfish, and before that he was a vice president at Glu Mobile. Q: When you're talking about taking a game and spreading it across multiple platforms, there can be different expectations among the users about how they will pay for games. How do you reconcile that? Kristian Segerstrale: I think you're putting your finger on a super-important topic. I don't think it's obvious, and it's not easy. I think there are a couple of very encouraging things that we've seen, though, across the board. One is that even if you look at something like last year's FIFA 12, one of the things that we announced at E3 at the time was that 20 percent of the revenue of FIFA 12 had actually been generated in-game through microtransactions. That's a console product where people pay upfront. 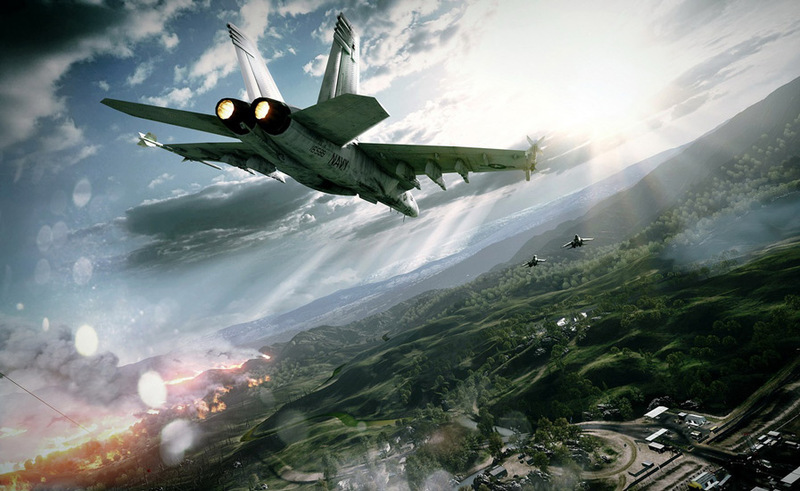 If you think of people having bought Battlefield 3, more than 1.5 million players having bought the Premium service, it again shows that the depth of the monetization potential of engaging users. What I showed at E3 on FIFA was just how many people are still engaged 9 months after launch; we still have between four and five million people in any given week playing the game. What we've found is that if we're able to generate sustained minutes per user of play, monetizing that engagement is actually a question of smart design whereby we can create opportunities and value for our consumers that is ongoing. That's true whether that is through player packs, being able to upgrade things, by saving time, by finding some way of personalizing your experience or helping you be more individual in the player community. I think you're right; there is disruptive change, but what I would say is that as a company, we are probably more advanced than most other packaged goods game companies. We've stated a long time ago that our aim is to become the number one digital pure play game company. Really all of our investments, whether you think of the acquisitions we've made or the huge engineering group we have behind the scenes in terms of the enabling technology, have been aimed at that. We've spread out the Playfish talent all across EA in such a way as to really enhance our free-to-play designs, and how do we think about designing in such a way we can operate ongoing services whereby consumers have new and interesting things to spend their money on over time. Q: The reorganization of EA's development teams around a franchise, has that enabled you to put marketers in with designers? As a marketer and a designer, I feel that monetization is most effective when it's integrated with design from the start. Kristian Segerstrale: I think so. EA has definitely gotten better. I totally agree that they have to be integrated from the start. If you think about FIFA Ultimate Team last year versus this year, the velocity at which we are learning as a company about this is really quite tremendous. Now we can target the right message at the right consumer at the right time with the right offer that's interesting for them.. It stems from one division and the clear aim of the company to become the number one digital pure play, and our collective conviction that in the long term the market is entirely free-to-play. We must learn now. So many of the designs across the company are evolving. You see that a little bit in this year's games; you'll see that a lot more in next year's games and beyond then you'll see a different complexion in design altogether. "Our collective conviction is that in the long term the market is entirely free-to-play"
Q: It seems like FIFA 13 is doing very well this year, with sales up 40 percent over last year. 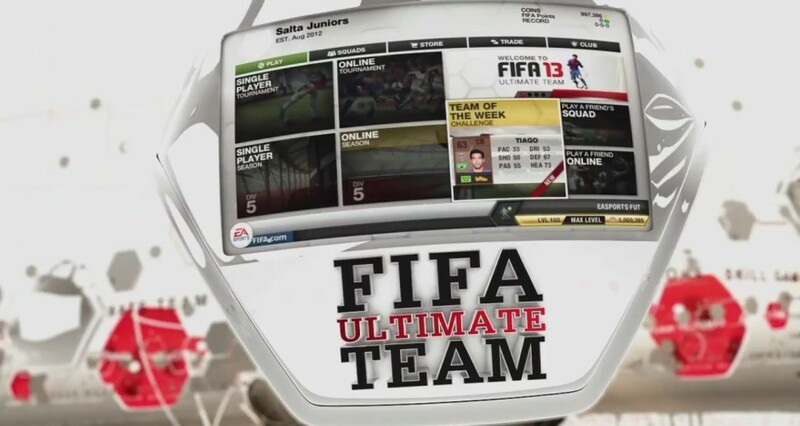 Do you attribute some of that to the efforts of FIFA Ultimate Team? Kristian Segerstrale: Yes. I think that FIFA in general - and Madden has also done well - but FIFA is really the frontrunner in the whole company of connecting the emotion of the real-world sport and the events that are happening in the real world into the game in a really meaningful way... in such a way that it both creates an interesting microtransaction environment and you can play the match, the actual match that's going on in the real world right now that's interesting. That's better than any other sports game on the market, and Madden is close behind but it's not quite there yet. We've really been able to connect the real world with this sporting experience. I think it's had a really big impact on the overall cultural phenomenon of soccer in the United States. Q: In the past it's been that sports games would follow the popularity of a given sport, and the sales of the games would track along with the rise and fall of the popularity of the sport. What you're saying is that the tail is starting to wag the dog. Kristian Segerstrale: What EA Sports and the FIFA team in particular have done so well is they've been able to insert themselves right at the center of the conversation around soccer, especially in North America. If you ever read the EA Sports manifesto, they have this deep-rooted belief that the games themselves influence the sport. They see themselves as much a part of the sport as the actual sport that's going on in the stadium. I think it's really an important mindset; it is not a computer game, it is part of the sport. I do think we have barely scratched the surface of what's possible. We are still very much in the early stages of genuinely transforming how people play games and genuinely transforming how we think about the computer games industry as a whole. It's incredibly exciting, and some of the early signs are that it's working, it's very encouraging. From a creative and a design perspective, that's what gets me really going. Q:The early days of a new platform always take existing content and move it over rather than designing for the new form; this happened with the transition from radio to TV, and now its books to e-books. Over time you start to create differently for new platforms, and that's where we are at with mobile and social platforms, isn't it? Kristian Segerstrale: I think you've nailed that point exactly. We are at such an early stage of this that some of the things you are seeing now are literally an application of what we know and had before in new and interesting ways. I believe personally that the really big shift will come as we shift the mindset of design, such that we design from the ground up for that. One or two years from now is really when you will see the results of what's going on right now. Q:In some ways I think the more disruptive thing about mobile platforms is how you can roll out new content and changes as often as you wish, and that is not the case with the console business model currently. Do you think that consoles should be as responsive to consumer needs and changes as mobile platforms? Kristian Segerstrale: I think that's exactly right. We think more about ecosystems than about just devices these days. Almost any device comes with a billing mechanism, a connectivity mechanism, a policy on updates, and all those things that makes it more than just a piece of hardware. When we think about ecosystems, we work very closely with all ecosystems to work through how do we make these really great. At the end of the day the consumer is our collective boss, and if the consumer is happy all of us are going to be happy one way or the other. The consumer can't be happy if on your specific hardware updates come out slower, or the experience isn't updated as quickly as on some other platform. I think that's where all of us have work to do; we have work to do to learn as a publisher to deal with that environment better and to be faster and to be better across the board. Ecosystems also have an evolution to go through. I think most of the time there's a fairly deep understanding that this is going to be looked at moving forward, and I'm really pretty optimistic on that. Q: Changing people's business practices can be more difficult than changing technology. "We are still very much in the early stages of genuinely transforming how people play games"
Kristian Segerstrale: I agree with that. I do think there's a very profound insight right now, understanding the link between engagement and monetization potential and value of an ecosystem. The more minutes of engagement we have with a consumer, the more valuable it is for the consumer, for the platform, for the publisher. One of the key enablers of engagement is that real-time update and feedback. Part of it is us making games which are more data-driven, so that FIFA can get the latest results and update on the fly, but a large amount of it is also for the first parties to enable us as publishers to change things around quickly where need be - particularly when it's synchronized updates across multiple devices. Q:You're operating at a higher frequency now, aren't you, with pushing out new content so quickly? Kristian Segerstrale: Absolutely. We used to make this joke at Playfish that the clock frequency of the industry has been increased by 100x. We used to make this comparison, look, there's a new version of FIFA every year coming out. 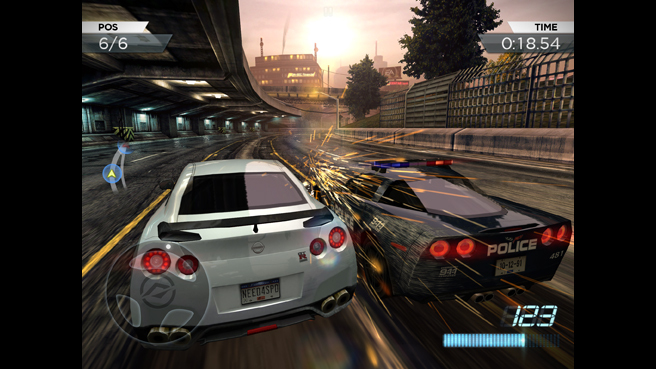 The most advanced games for some mobile platforms used to have an update every month. Then social games initially began to do an update every week, then every day, then updates four times a day. That clock frequency of how you have to operate as a business just changes entirely. That's something that the whole industry, I think now more than two years ago, has really come to terms with and I'm feeling good where that stands. Q: There are soccer games happening all the time all over the world, scores are coming in, and players expect to know that. Kristian Segerstrale: Exactly, and the fact a publisher can create a window into that universe that is tailored to you and your likes is really something that is very hard to do in any other medium. It's been a really interesting thing in my role, really driving the transformation of EA and pulling effectively some of the innovations that have happened at the fringes of the industry right into the core of where the company is going. That's why I'm very hopeful that as a company we're able to turn the corner and navigate the future in a far more nimble way as a result. As you said, business practices are the hardest thing to change. What we've really done with the organizational change, folding in the different parts to different parts of the company, was to take all those bits of learning from social and mobile and all those other places and plow them into the center of how we drive the key franchises forward. It's a very exciting position to be in, and clearly we need to deliver on it. Q: Sports games make it easier in some ways to create a real-time environment, because there is real data coming in from the world all the time. With something like Dead Space, you have to create all the data; doesn't that make it more difficult? Kristian Segerstrale: We or the other players. It's clearly easier for something where there's a real-world data feed going on all the time. That said, what we've done so well in Battlefield - the engagement levels in Battlefield are staggering - because of Battlelog, with the rollout of the various new map packs and stuff, you have this huge, super-vibrant community that contributes to the overall game play, the overall reason why you should be playing. That's another lesson from social, figuring out how to make people really count in the game to make them a very important social community. It doesn't have to be UGC (user generated content) videos; it can just be the way they play, that they ultimately contribute to events in the game. I think what you will see more from us going forward is to empower people to share and be more social. If you look at Autolog 2 for Need For Speed, we're very excited about the upcoming release. It's one of the best Need For Speeds ever. If you play Autolog 2, you actually have a whole new way of sharing with your friends. I think at Criterion they've really taken that to heart. We're super-excited about prolonging interest in the game play. Q: The nature of the device still constrains the overall experience, though. Kristian Segerstrale: That's right. Where EA is in a fortunate position is through acquisition and specialization we actually have folks who really purely eat, sleep and breathe the device specifically. But now those groups are combined with the franchise teams in a way which enables us to find the combination that's best for the device and right for the franchise. "We think that's the goal: To get to the perfect combination of art and science"
Q: I think the integration of all the feedback that comes from consumers is so important, because now you can design for what the consumers are interested in. Kristian Segerstrale: Exactly. In some ways the challenge has been with our data systems that are in place already, there is almost too much information. I would say it's no longer about the data; it's about the intelligence from the data. Getting designers to speak data fluently is very interesting. It's going to be a bridge built from both ends - data folks who are able to serve up the data in a format and in a way which makes it easy to pick up and design decisions and design input from that. On the other hand, the designers have got to become more numerate to understand what the data really means and what is statistically significant and what isn't. We think that's the goal: To get to the perfect combination of art and science. We're fundamentally about the art and creating awesome experiences, but we want to use the data to augment the art. More than 300 EA staff are working on esports, but can the publisher's football franchise challenge Dota, League of Legends and CS:GO? From somebody who was one of the first full-time employees of a publisher with a research background at the start of the nineties, I remember how hard it was getting designers and marketeers to understand consumer data and respond to it. Over the years, the industry has matured to accept data as the cornerstone of decision making to the point now when metrics from games is cascading in on a minute by minute basis and designers are compelled to react on this immediately or the game dies. Am I the only one irked by the current trend for games executives to use phrases like "create value for consumers" to mean almost the opposite of what it traditionally means. As a consumer, getting more value means getting more product for my money, not spending more for your product. Not saying it's bad business, just bad use of the English language. EA still has quite a way to go to get to a proper mindset of selling the game to the consumer regardless of the platform. Valve gets that customers neither want to nor think it's fair to pay again for the same game just because you want to play on a different platform. That's why so many games on Steam are SteamPlay, and I guess why they even gave me a PC copy of Portal 3 when I bought the PS3 version. As the number of platforms expand, this is only going to become more important. Kristian is an industry star and is the reason I think that EA has a rosy future. He talks very much sense in this interview, as always. The real design/industry challenge is still to create great core gameplay, then and only then can you extend, develop and tune it thanks to the "game as a service" approach. You can't get metrics on a game that doesn't already exists anyway, so it means the crucial phase of creation will be done without them. So F2P is a massive change in term of lifecycle management and marketing, but in term of the subtle art of design, it is not. And that way or the old way, be it products or services, 70% of the games will still be terrible and fail. So I still advocate the most cost effective and urgent direction for the industry to reduce risks is to evolve design. When you get terrible metrics from your game it's already too late, you have lost the dev+publishing costs, and 90% of the time you won't be able to fix it. "Craft better games"... before all, before "social" before "mobile" before "F2P" before the next buzz word whatever it will be (4D anyone?). I echo Renauds viewpoints, metrics can accentuate/confirm a core gameplay or design but within the development sometimes you have to really do your best, and ensure robust internal gameplay that stands up to scrutiny, and is able to hit that holy trinity of fun, addiction and replayability to garner great gameplay. its almost like going back to the pen/paper test - will your games fundamental design work great on a napkin test. Well, one of Renaud's big points (or at least a point that would be a big change to how games are made) is to do things more iteratively. That's certainly not how things usually work these days, especially in AAA gaming, where massive projects are kept pretty much completely under wraps until release day. Even in MMORPGs, where there's a lot of room for iteration, big releases (such as Pandaria) are often done this way. Being an agile software developer, I'm a huge fan of iteration myself. But I have the feeling that this won't work for everything, and I'd like to hear about where it does and doesn't work. In the Uncharted games, for example, half the pleasure or more comes from the incredible production values, and doing that half way and iterating simply wouldn't work for me.